The workshops will feature some of the top experts of the leading industry, key people of social networking sites and marketing industry. 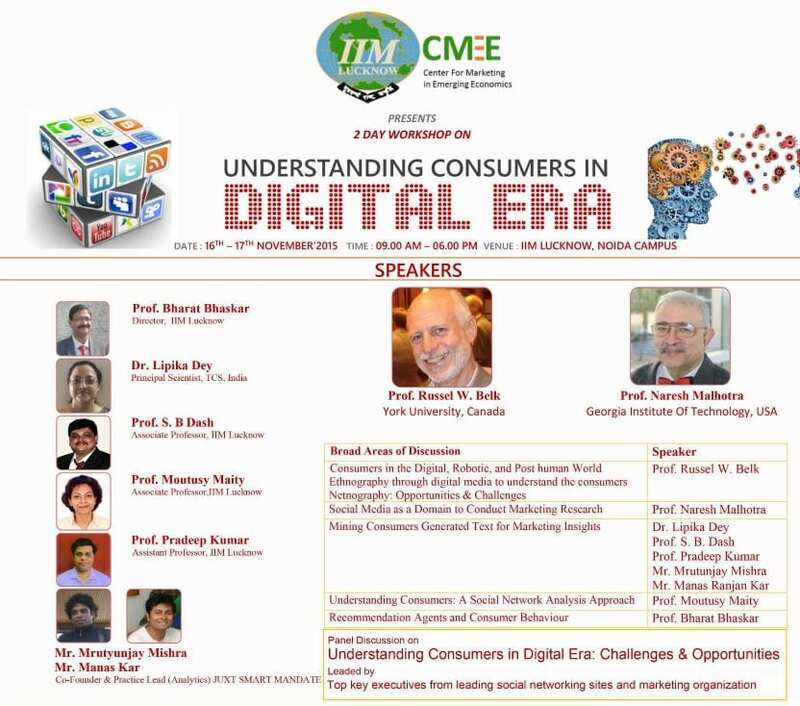 The workshop will be leaded by 2 legends of Qualitative & Quantitative marketing Prof Russel Belk and Prof Naresh Malhotra as the main speakers. Consumers are rapidly getting used to digital platforms for online shopping and sharing experiences. Marketers realize the importance of the digital medium to understand, interact with and satisfy consumers on a continuous basis. Digital transformation is one of the top trends in top marketing companies. This workshop aims at discussing data collection methods on the digital media along with approaches to analyze the data obtained. Qualitative and quantitative techniques of collecting and analyzing data will be discussed in the workshop. Marketing research professionals as well as marketers who want to obtain deep insights from understanding the online consumer will benefit from this workshop.